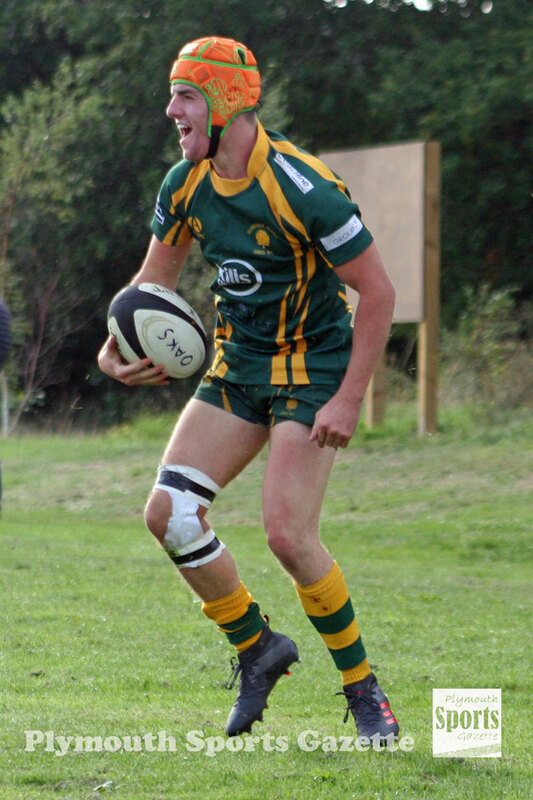 IVYBRIDGE showed good character to come from behind and beat Drybrook 37-16 at Cross-in-Hand on Saturday and maintain their 100 per cent record in South West Premier. League newcomers Drybrook arrived in Devon in determined mood and threw everything at Ivybridge in the opening 50 or so minutes. The Gloucestershire side were 13-3 up after 35 minutes and were leading 16-11 with 52 minutes on the clock. But the hosts dug deep and then turned on the style in the final quarter and scored four tries. The bonus point win leaves them second in the table, level on points with leaders Bournemouth. “Fair play to Drybrook they really came at us in the first half,” said coach Jamie Tripcony. “They really chucked the kitchen sink at us, but luckily we managed to keep ourselves in the game. “We got a score just before half-time to keep us within touching distance. “And the intensity that we brought to our defence second half was unreal really. The guys really put in a big shift second half. The tight five really put the pressure on at scrum time and we got a bit of change. “When the chips were down and the momentum went against us a little bit it was really good to see the team’s character come through. We really dug deep for one another, which was the really pleasing thing. Drybrook went 6-0 up with two penalties before Billy Pinkus kicked one for Ivybridge on 24 minutes. Nine minutes later the visitors had gone 13-3 ahead with a converted try but pretty quickly the Bridgers replied with a George Wilson try to go in at the break just five points behind. Pinkus kicked a penalty for the hosts at the start of the second half but Drybrook added one of their own to go 16-11 ahead. However, after that Ivybridge got on top. Player-coach Lewis Paterson, who had come on as a replacement, put Ivybridge ahead with a converted try. Pinkus then scored a try, which he also converted, to make it 25-16. And in the final 10 minutes Ben Watts and Paterson added further tries to give Ivybridge a rather comfortable victory in the end. 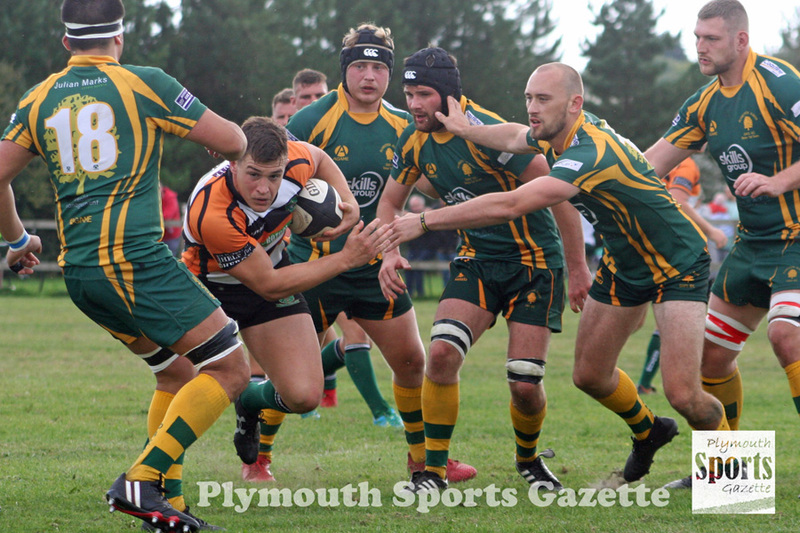 DEVONPORT Services claimed their first away win in South West One with a 29-17 bonus point victory at Teignmouth. The success on the road has lifted Services up to sixth in the early table with two wins out of three to their name following their promotion from Western Counties West. Services’ second team also beat their Teignmouth counterparts 33-18 in the Devon Merit Table. “It was a good day at the office,” said Services coach Mike Lewis . Lewis was delighted with the win which followed on from a home victory over St Ives. “Not only was it our first away win, but also our first bonus point,” he said. “We got four tries, which was fantastic. It just breaks that duck. 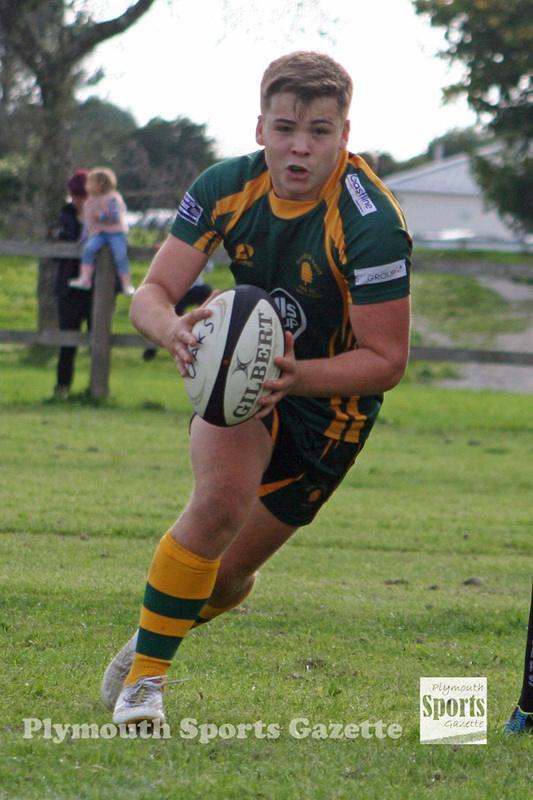 Among Services’ try scorers was teenage debutant Jonah Moore, who got a surprise call-up for the first team. Services led 14-3 at half-time thanks to tries by captain Matt Gregory and Rich Goffin. In the second period, Gregory added a second while Moore got his first in Services colours after fellow youngster Harrison Slade, who is still a colt, helped create the opportunity. Meanwhile, Saltash suffered a third straight defeat in Western Counties West when they were beaten 33-10 away at unbeaten Tiverton, who now sit third in the table. Once again the Ashes paid for a slow start and found themselves 26-3 down at half-time in a game that was held up for a considerable amount of time before being moved to another pitch due to an injury. Saltash were much better in the second period and did get a late converted try when Kyle Felton crossed from an interception. The Ashes will be hoping to finally get off the mark next weekend when they host Truro at Moorlands Lane. 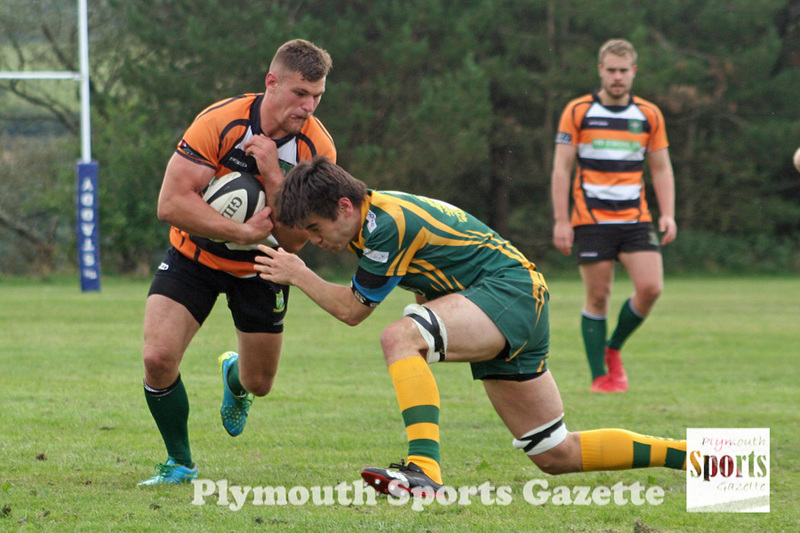 TEENAGE back Cameron Goss enjoyed a dream home debut by running in three late tries to help Plymstock Albion Oaks to a 25-11 victory over city rivals Plymouth Argaum. 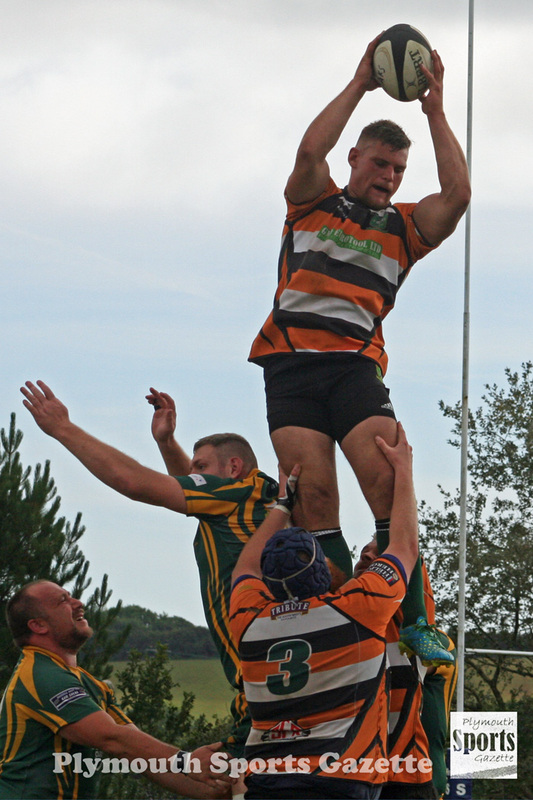 The bonus point win was Oaks’ third in three games and takes them to the top of the Cornwall/Devon League. For Argaum it was their first defeat of the season and they were left frustrated that they didn’t pick up at least a point. They had the better of the first half, but could not turn their possession and territory into points. They did lead 6-5 at the break, but they really should have been further ahead. Oaks then had two players sin-binned early in the second half, but Argaum could not take advantage. They then wasted a great chance for a bonus point at the end. When the score was 20-6 to Oaks, Argaum scored a try near the posts in the 80th minute. However, there was no kicking tee at hand for a quick conversion and rather than wait, Al Murray took a quick drop-goal but it missed meaning Argaum were nine points behind and not seven. They tried to rescue the situation and get another score from the kick-off but they lost the ball and Goss ran in to claim his hat-trick. “It was really hard work first half,” admitted Oaks player-coach Aiden Taylor. “They came out of the blocks like we knew they would, but second half when we used our electric backs we blew them away. We train at such high intensity and in the end that fitness told in those last 10 minutes. Indiscipline could have easily cost Oaks, but Argaum were not able to take advantage of twice having a man advantage. “Indiscipline is always our Achilles heel,” said Taylor. “We train with 14 men sometimes and work really hard on individual battles. Taylor was pleased to see youngster Goss take his chance. Argaum’s coach Adrian Cameron said: “We just did not look after the ball well enough. To be fair, they (Oaks) played a nice brand of rugby and they put it wide through the hands and the young lad scored three tries. “If teams crack you open by moving the ball wide it is difficult to defend. Argaum had claimed bonus point wins in their opening two games against Pirates Amateurs and Withycombe. But Cameron said: “We didn’t look as fluid on Saturday, but that might be down to Oaks. Their defence pressurised us and so we didn’t have the space we’ve had in previous matches. The off-loads weren’t going to hand and maybe people were being rushed because of their press-defence. “Up front Oaks were really combative – they were contesting every breakdown. Also our line-out did not function as it has done. “It was a real local derby where everyone was hammer and tong, but at the end they broke away from us. “It would have been nice to have got a bonus point as it would have made a difference, but it didn’t happen and we have to deal with it. Argaum had some good early pressure but had to wait until the 13th minute to go in front when Murray kicked a penalty. Oaks made a lot of mistakes early on and Murray missed with another penalty attempt four minutes later. 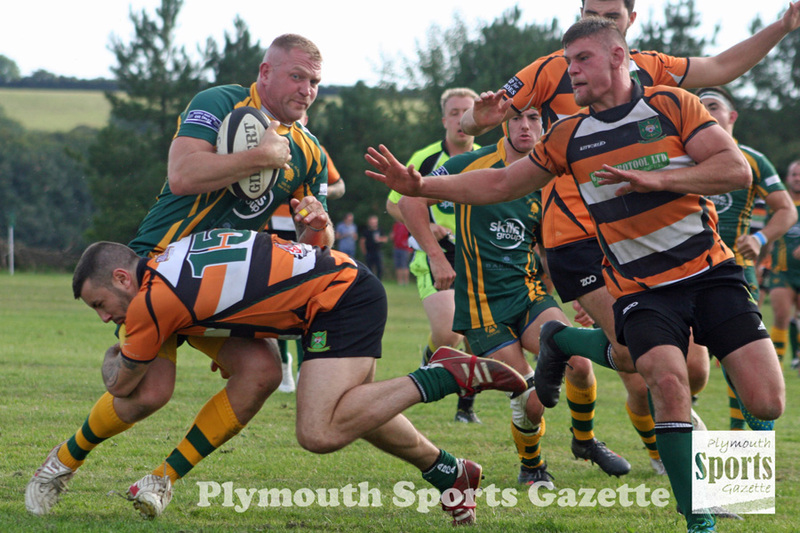 Plymstock did not get out of their half until the 21st minute but four minutes later they scored the game’s first try when Will Booth went over near the posts after good play from a line-out. Murray, though, kicked a second penalty before half-time to give Argaum a 6-5 lead at the break. Straight after the restart, Oaks were reduced to 14 men for 10 minutes after two high tackles within seconds, but Murray missed the resultant penalty for Argaum. Just as Oaks were about to return to 15 players they picked up another yellow card but despite having a man less they took the lead with a counter-attack try for Tom Richards after Argaum had lost a line-out. On 60 minutes, Goss got his first try of the day before adding his second 17 minutes later. Tom Worboys then gave Argaum hope with a try in the 80th minute but it went unconverted and Goss completed his hat-trick with the last play of the game. Tavistock find themselves propping up the league after they lost 39-3 at home to promotion-hopefuls Penryn. Tavistock were only 10-3 down at the half-time, but suffered a host of injuries in the game and had to play the start of the second half with 14 players before ending up with 13. “At half-time we were very much in it,” said Hammy Kerswill. “We took the lead when Ed Nettleship put over a penalty. They levelled up shortly after and then got a try just before half-time to make it 10-3. “But we lost Martin Budden in the first 15 minutes with a knee injury, then Ryan Bragg, who was on the wing, dislocated his shoulder so we had used two subs in the first 20 minutes. “Then on the stroke of half-time Joe Hair’s hamstring went and then in the second half Jack Easton took a knock to the head and had to come off so we had to go down to 14. Then I did a rib. We played the second half with 14 and then the last 20 with 13. “I think 22-3 or 22-10 would have been a fair result. 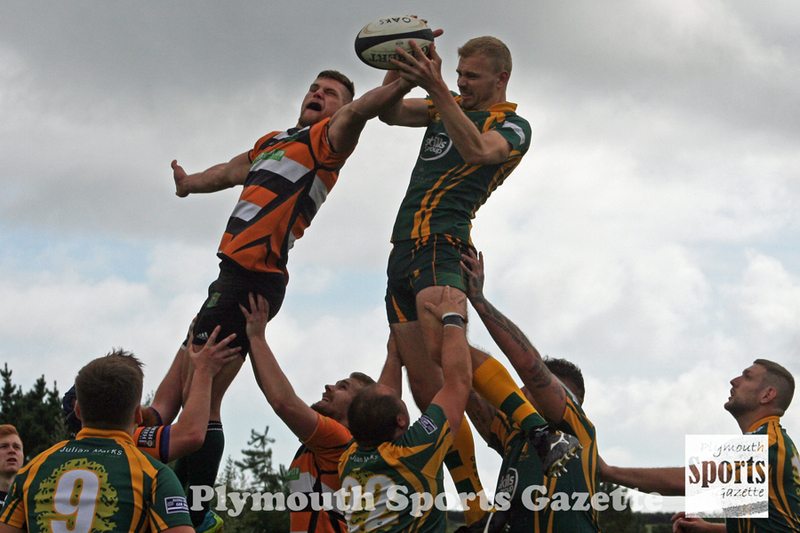 Liskeard-Looe suffered a surprise 42-17 away defeat at previously winless Topsham. Topsham had been well beaten by Honiton and Bude in their opening two games but should be stronger now that students have returned. The hosts were only eight points ahead at half-time but turned on the style in the second period with their speedy backs. TEENAGER flanker Scott Cooper scored a hat-trick of tries as Tamar Saracens bounced back in style from their opening day defeat at the hands of Exeter Saracens by beating New Cross 40-5 away. Fellow youngster Lewis Swatton also impressed for the visitors, claiming a try and five conversions. Saracens’ other points came from tries by winger Dan Best and scrum-half Ricky Lennon. Tamar were boosted by being able to bring summer signings Adam and Craig Coutts, Tom Hicklin, Lee Dolphin and Cooper into their pack. “The pack certainly made up for the mistakes they made last week,” said spokesman Marc Cioffi. “They set up a good foundation for phase play, which meant the backs were able to use the ball more. We had a lot more structure than last week, but there’s still plenty to work on. Devon under-18 player Cooper was the star of the show at Five Lanes. Old Techs’ first away trip in the league proved to be an unhappy one as they lost 37-5 at North Tawton. Tawton had put 39 points on OPMs the previous week and Techs fell into the same trap as their city rivals. “I think it was a bit like what happened to OPMs,” said Evans. “We had the first 10 minutes of the game but then on their first venture into our 22 they scored. They are very, very good on the counterattack and very clinical. “We never really got into the game. The second half was a bit different, but they were 27-0 up at half-time without us even realising we were in the game. “We’ve got no excuses – they executed their chances really well and we were unfortunate with stuff like knock-ons and stuff. Matt Simmonds scored Techs only try, while North Tawton crossed five times through Matt Baker (2), James Bowden, Gary Sizmur and Luke Dennis. Meanwhile, DHSOB found Kingsbridge’s second team too strong for them in Devon Merit Table Division Two South & East. Kingsbridge’s first team are in Western Counties West and they were able to field a very strong second string, who ran out 89-0 winners. However, DHSOB were far from disheartened. Coach Martyn Ruskin said his players are enjoying the new league, but added: “They (Kingsbridge) had a really well-drilled team with obvious quality. Also in that division, Tavistock II and the University of Plymouth III drew 17-17, while Oaks II beat Argaum Wanderers 62-7 at Horsham Fields. Argaum’s score was a penalty try.